The Seminole Library has been in this community since it first opened its doors in 1953. 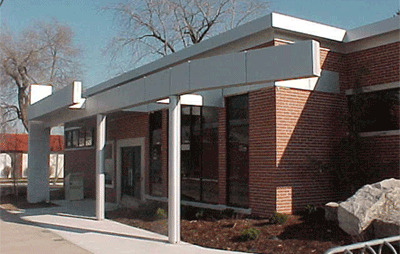 In 2000, the library was closed for five months for renovations that included an improved children’s area, reading area, wheelchair accessible entrance and washrooms and an enhanced technology center. This Branch offers a full reference service, a selection of fiction, non-fiction, adult and children’s books, audio books, magazines, 4 public and 1 express computer stations for use by customers, and Internet access. © 2016, Windsor Public Library. All rights reserved.